Can you give too much love? 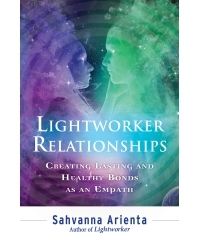 Lightworkers are sensitive and highly empathic souls who have an innate need to help and heal others. These peaceful supporters of humanity are here to make positive changes and create personal, balanced, and loving human connections. But many Lightworkers become so caught up in their divine mission to heal that they sometimes overlook the importance of receiving love. Do you find yourself always loving generously and rarely feeling valued? Do you feel you’re always responding to the needs of others? Because of this inner calling to heal, many Lightworkers find themselves in situations that create an endless cycle of sorrow in their own relationships. Eventually these beautiful souls close off their channel to receive love altogether. Balance the human and spiritual experience. Create healthy boundaries in relationships. Learn to receive love and why it’s essential. Recognize when you are closing off your own love source. Live your divine mission but also receive the joy and happiness of healthy human connections. Sahvanna Arienta is an internationally known psychic advisor and spiritual counselor. Her work helps others recognize their authentic selves and find purpose in living a heart-centered existence. Her unique style and connection to others are powerful healing tools that have been revolutionary forces for change in the lives of her worldwide clientele. She is the author of Lightworker and The Lightworker’s Source. Her website is www.sahvannaarienta.com.